Nathan started his first FULL day of Kindergarten (not half) a couple of days ago. 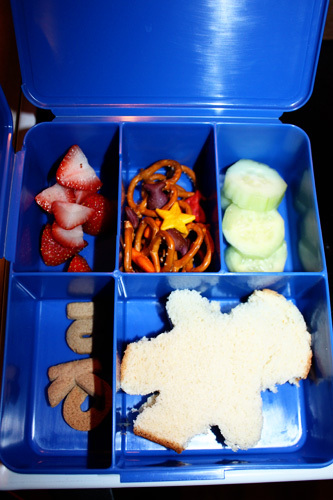 A blog friend of mine had posted about her twins lunch boxes and I fell in love with the idea of the compartment/bento lunch box idea. Of course, I had to buy the actual lunch bag thats fits it, too, because the bento container is too big for a regular store bought lunch bag. 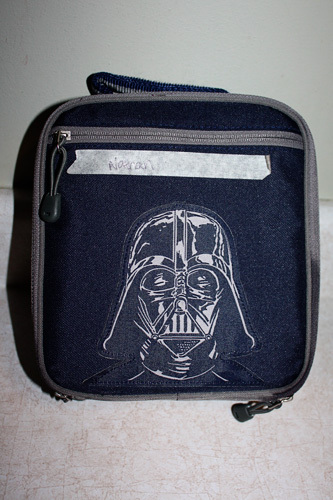 I was excited because I also bought the Darth lunch bag, 2 bento containers and 2 Star Wars icepacks on the free shipping day right before Christmas. Can’t beat that. Of course, Autumn got VERY jealous when Nathan and I worked on packing his lunch (he INSISTS on helping me) and wanted a Dora lunch box. 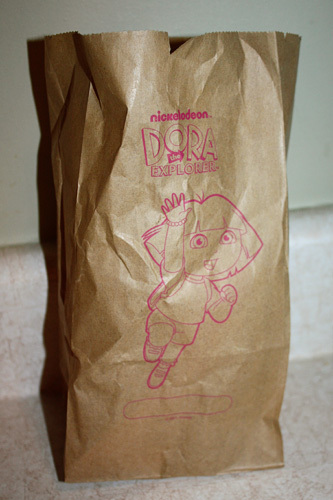 Of course, she doesn’t have a lunch box yet so I got out a Dora brown bag. 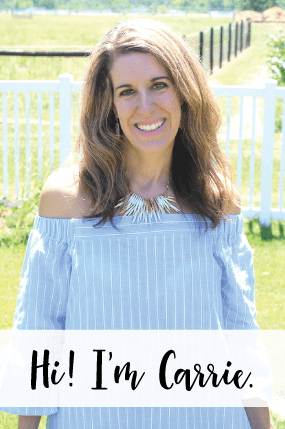 What does Autumn want for lunch? 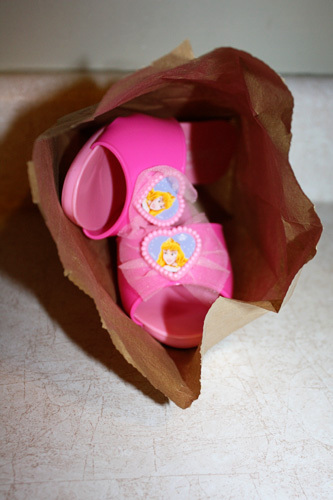 Apparently pink princess shoes are quite tasty to a 3 year old. So cute! If you are wondering, Nathan is doing really well adjusting to the full day schedule. He will now have art class which I am excited about because he will be bringing all kinds of art home. He also gets to sit and eat lunch now. He was so excited about just ordering milk, and to get to pick chocolate over white. Monday will be his first HOT lunch day, they have corn dogs. Woohoo! Such excitement for a little boy! He also has a crush on Kylee right now, she is a very sweet girl so I am glad my little boy has good taste in his girls this young in life. Ha! Hopefully he will continue to enjoy school as much as he has this week!